We're entering a more agile, mobile age. We do work everywhere, and on the go. We answer emails in the elevator and on the subway, try to code and write documentation during meetings, and just get work done in a very limited schedule. Whether this is good or not is irrelevant; it's what's happening. In corporate America, there's no stopping it, at least if you care about career advancement. Being able to respond quickly, and get more work done gives you a competitive advantage. Whilst the distributist part of me laments this development as yet a further step to serfdom, but my inner pragmatist is unwilling to yield that advantage to my competition, as I need to feed my family. I do so much work on my smartphone in a day. I do research on-the-fly in meetings in anticipation of questions. I schedule meetings. I write a lot of email and documentation. I check the status and even deploy production code to servers. I occasionally even—gasp—take phone calls. But there's certain things I can't do efficiently. I can't type fast enough on my phone to take effective notes. I can't do any serious coding in meetings where I really don't have much to contribute. Lengthy emails are difficult. Complex formatting, hell, even Markdown, is incredibly difficult, and at times impossible. Part of it is the size of the device, and part is the lack of a physical keyboard. Sure, I could bring an iPad with me to all these meetings, but that's still not great to type on, and the productivity applications are generally stripped down from the desktop versions. My laptop is too bulky, and it takes way to long to wake up from its slumber. And it only gets about 2 hours of battery life. I could get a Transformer Prime with the keyboard dock, but that's nearly as bulky as most laptops, doesn't have the software selection that the iPad has, so it becomes the worst of both worlds. 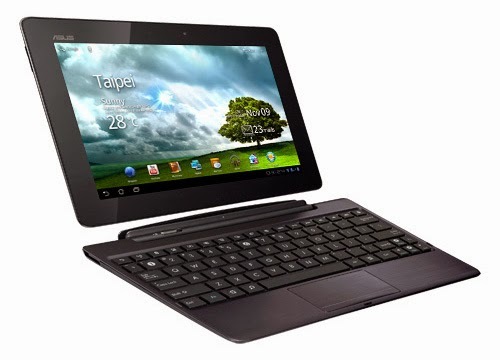 ASUS Transformer Optimus Prime with keyboard dock. I'm likely going to get a 13" Macbook Pro at work in a month or so, which is much slimmer and lighter than my current HP monstrosity, and though Lion does wake and sleep pretty swiftly, it's still not as instant as my phone. And it's still a bulky thing to bring to every meeting. What I'm really tempted to do is ask for an 11" Macbook Air instead. It's nearly as small as an iPad, and the SSD inside allows it to wake very, very quickly. But it just doesn't have enough juice to compile large Java apps and run Photoshop effectively. And let's face it: 4gb RAM is way too little these days for doing anything serious. 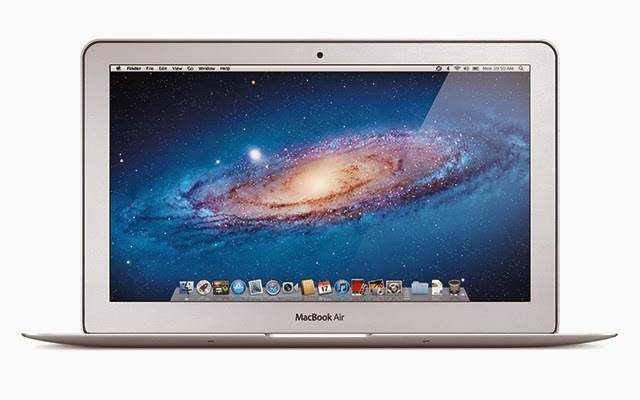 11" Macbook Air. The sexiest laptop ever made. Not much bulkier than an iPad. Thunderbolt, however, gives promise to this sort of approach. 4 PCI Express lanes over a 3-foot cable adds lots of flexibility. Apple's Thunderbolt Display is a really convenient combination of a monitor and docking station, without the clunky ugliness of modern dock connectors. Some manufacturers are taking this further, with external boxes that have a power supply, ethernet port, USB ports, and a PCIe x4 port for a graphics card. The wimpy integrated GPU in the Macbook Air could get a boost from external graphics for gaming and professional 3D. This would offer a wonderful balance between portability and power when you need it. But why not take it further? As Thunderbolt's successors become faster, why not have external CPU and banks of RAM? Windows, Mac, and Linux are already NUMA-aware. Why not add hot-plug CPU's to the equation? Motorola Lapdock 100 driven by an Atrix 2. Taking this further still, why not have Macbook Air or so-called "ultrabooks" deployed with low-power, low-cost ARM CPU's, that could then be augmented with higher power CPU's when docked. Surely, this would lead to gains in efficiency and thus battery life. Further still, what about equipping phones with whatever the successor to Thunderbolt is? 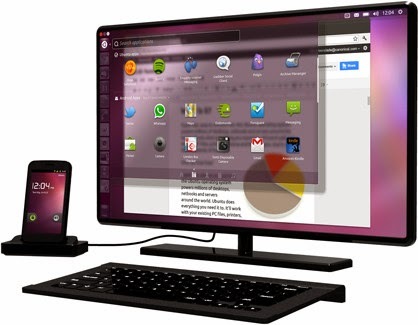 Clearly, iOS is on a collision course with OS X. Ubuntu has already annouced Ubuntu for Android that allows you to connect your phone to a monitor with an HDMI port and boot a full Ubuntu desktop that syncs with the phone. Microsoft is already waving the "Windows Everywhere" flag, positing that Windows 8 will be available in various flavors on the next XBox, PC's, and tablets, ARM-based netbooks, and likely eventually phones. 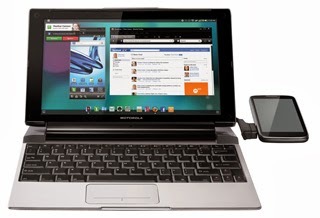 Hell, Motorola deployed a similar, if flawed, attempt at this last year with the Atrix 4G coupled with the Lapdock. The Ubuntu on Android solution, to me, is very exciting in the short term. I use Ubuntu on my home laptop and desktop for, well, everything that's too big for a phone. I've also, recently, decided that I'm never going to buy another desktop machine. The biggest issue with a desktop is you have to go to your workstation to use it. I've found myself doing the vast majority of my browsing on my phone out of convenience, and as a result, I sit at my desk a lot less, and am less likely to just spontaneously start coding. A laptop solves this problem. Even moreso, a phone that can plug into a laptop dock or a desktop dock with 24+" monitor, keyboard, and mouse lets me continue my actions with the same device with a different display. I honestly believe this is the future: one device to rule them all, and a multitude of input/output/augmentation devices such as laptop "shells", media docks, desktop docks, etc. allowing greater flexibility. It's happening. It'll continue to happen. And it can't happen soon enough.